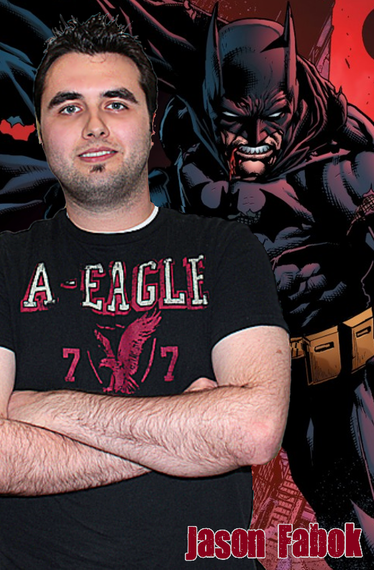 The young Jason Fabok went to school for storyboarding and (CG) animation, but he quickly changed gears and made comics his career goal upon graduation. 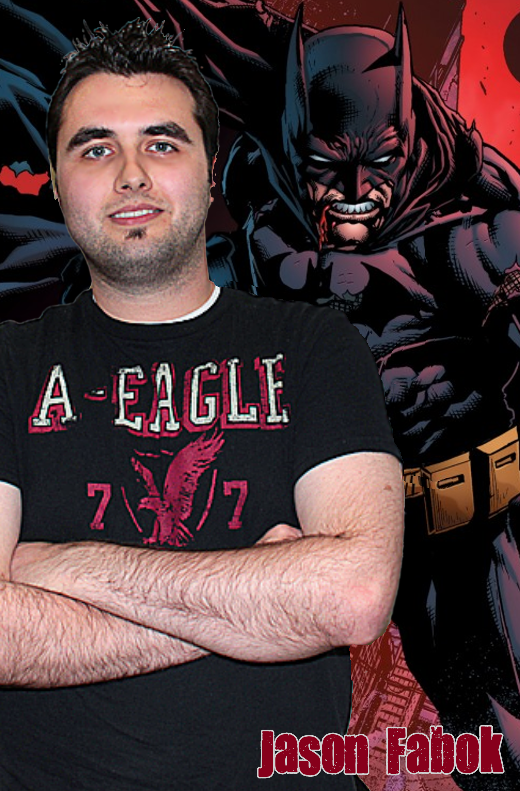 He fell in with fellow Canadian artist/writer David Finch, who would also find his way into the upper tier of current Batman creators, and the two started an unofficial six-month-long internship. Early in 2010, when Finch fell behind on art duties (due to his writing responsibilities getting in the way), he tapped Fabok to fill in for him on two issues of Superman/Batman. From there, a regular gig on Detective Comics, with writer John Layman, wasn't far behind. As Batman: Eternal looks to start up in the very near future, Fabok has ended his tenure on Detective to be the primary artistic force on the new weekly series. There, he'll rejoin with Layman -- along with a number of other writers -- to help usher in what DC Comics is promising will be Batman's newest era. The coolest part about Batman is that you can really do whatever you want to the character and, as long as you keep the basic elements of his look, people will recognize him as Batman. I try to stay faithful to the vision of Batman I grew up with and transfer that to the page the best I can. I grew up on the Michael Keaton movie version, which was dark, shadowy, and gritty, along with the Bruce Timm animated series-look, as well. When I was a teenager, the Jim Lee version changed everything for me and helped inspire a goal for a career in comics. Over the years of reading comics, I've been able to pull in influences like Tim Sale, Frank Miller, Bernie Wrightson, Jim Aparo, Lee Bermejo, and Gary Frank, as well. I feel my Batman isn't anything terribly unique, but it's what I like to see on the page as a comic reader myself -- big, bold, tough, dark, and dangerous. As for trying out new things with the costume, that changed when I sat down to draw the book. I've changed some little things, like the pouches on his belt, and I looked over the Jim Lee design to add in some little things here and there I wasn't drawing before, but in the end, I've tried to stay true to the way I've been drawing the character for the last few years. You say that you prefer a simple "widescreen" layout to your pages. How much of this was a conscious decision and how much was just experience from sitting in front of the board with pencil in hand? I think the widescreen layout comes from my background in animation. When I was in college, I felt drawn to storyboarding and thought that would be something I'd like to do as a career, either for live-action film or for animated movies. I've always enjoyed the challenge of having a 16x9 or 9x3 rectangular panel and then trying to use the space to fit an image in. I feel it also helps with the simple rule of thirds; when you have that large, rectangular shape, the rule of thirds is a lot easier to follow. I have been playing around a little more with different panel layouts with Batman: Eternal, but, in the end, I personally like easy-to-read pages. I've never been attracted to more inventive layouts and never really feel the urge to try them. Give me four widescreen panels any day, and Ill be right at home. What's the greatest draw in illustrating digitally? What's the greatest pitfall? Illustrating digitally has benefitted both myself and my family greatly. I made the change mostly because I felt at home using the digital tools from my college training in animation. I've also learned that it's sped up the work process and allowed me to actually take a weekend off here and there and spend time with my family. I will admit that sometimes I wish I could go back to drawing on paper and have an inker ink my work, but, right now, with the tough deadlines I'm trying to hit, I don't feel it would be wise to switch. I have been penciling and hand-inking some covers, but, even then, I find myself touching up the artwork once I have it scanned in the computer. I think I'm just a control freak and want my hand in the entire process. I do enjoy finishing a page and knowing I did all of the line work myself. I also believe the technology is getting to a point where the simulation of brushes and pencils is almost spot-on. The thing I find as the biggest pitfall is the touch of the plastic pen to a plastic screen. I like the feeling of pencil on paper, and no amount of simulated tips for your pen will give you that feel. You've mentioned that writers like John Layman and Scott Snyder give you more freedom than others. Does this mean they don't write in full-script format, or that they're not breathing over your shoulder? Scott, John, and James Tynion, who I've been working with on Batman: Eternal, give me very detailed scripts to work off of, and that's what I like. But the thing I enjoy about them is that they are flexible to hear out my suggestions and ideas. For certain sequences, they may allow me to fill in the setting or whatnot. I believe that a comic needs to be a collaboration for the book to turn out the best, and most of the writers I've worked with believe that, as well. That's a two-sided answer. As a person who dreams big, I sometimes think about how cool it would be to go down as one of the great Batman artists, but, in reality, I don't really think that will happen. I'm very content with what I've been given and the opportunities that have come my way. I hope fans will enjoy the work I do on the character, and I hope that I'll have the opportunity to work on Batman for a long time. I personally think it's wise to always stay humble and try to push yourself day by day to do better. I'm never happy with anything I really do, and that pushes me to excel with each issue. I just hope fans see I'm having a blast and trying my best to give them an enjoyable read. CORRECTION: A previous version of this post incorrectly spelled the name of Jason Fabok. The post has been updated to correct this error.